It’s a neverending source of amusement to watch the animals interact with a sunbeam. I think they have built-in solar panels that automatically know which way to face to maximize their usage of natural warmth for maximum doziness. I was surprised to find out that the dogs do this also, although it is not quite as high an art form with them as it was the cats. 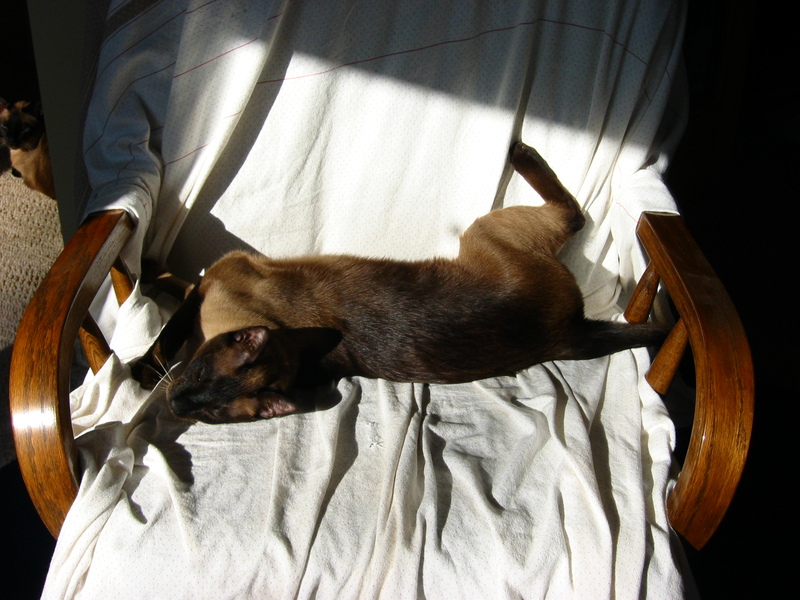 I actually have pictures of the kitten shown here (yes, my full-grown much adult kitten, last of my three babies), but several were somewhat less than PG, showing clearly that he was a boy.